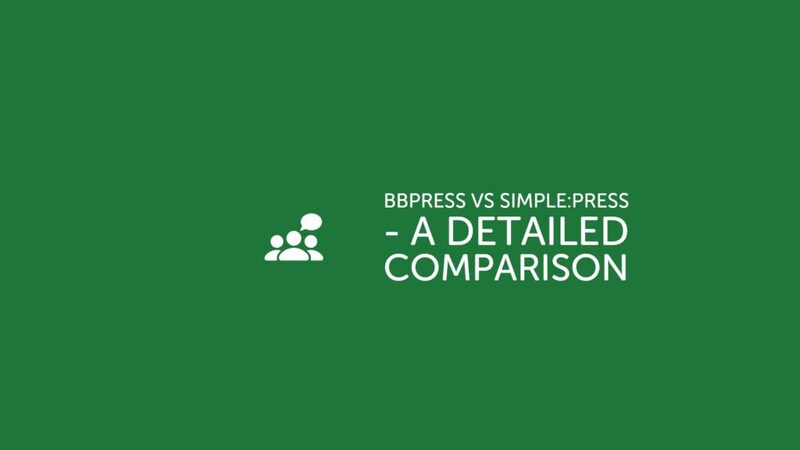 Simple:Press 6.1 was released to the wordpress.org repository earlier today. Included are a few bug fixes and some minor new features. Check out the details about these below. We’ve added a second custom message field. 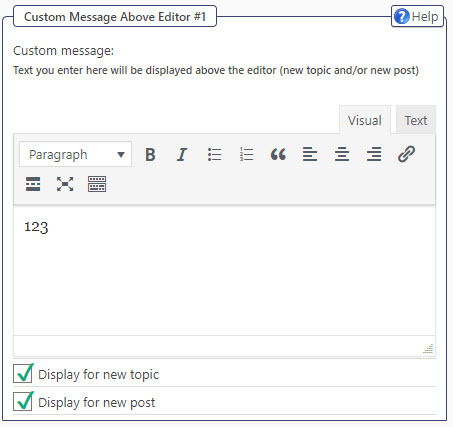 With this you can now have a separate custom message for NEW TOPICS and NEW POSTS. Radio buttons in the admin area now look like radio buttons. Before, they looked like check-boxes so you could never tell the difference until you actually tried to use them. AIM, Yahoo IM, ICQ, Google Talk, MSN and Myspace. While we have a plugin that allows the admin to create and use any number of custom identities (Add User Identities) , we decided to add the Instagram identity to the core plugin. We were removing old ones afterall so why not add one of the most popular ones? We have started the process of requiring license keys for premium modules. 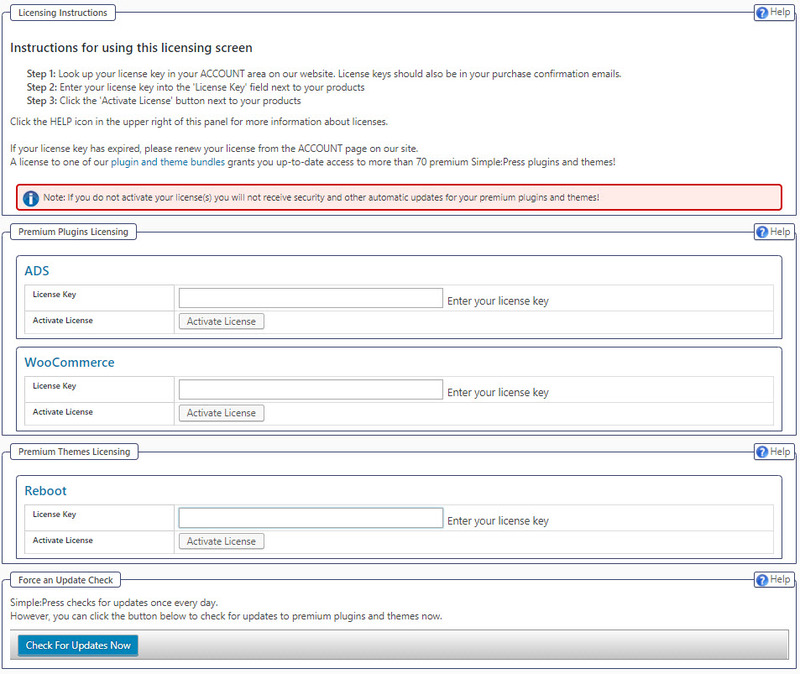 Thus, we have a new licensing screen under FORUM->TOOLBOX->LICENSING. Premium plugins and themes will be updated to use the new licensing screen. Given the number of these we have it’ll take us a while to get them all done. So we’ll end up having a mixed licensing model for a few months or so. Users can retrieve license keys in their ACCOUNT screen. For most users, there will be one “all access” license key that will need to be entered into every active plugin or theme. Automatic updates will not be possible if a plugin or them is inactive or does not have a license key that has a current valid subscription. G0000: Added new function to allow date pickers to be painted in admin – utilizes the JqueryUI Date Picker library from WP. G0000: Added additional icons to the icon font file to be used by the new Analytics and Ad plugins. We’ll likely be pushing this update to early release status sometime within the next 30 days. If you would like to give it a whirl now, just drop us a note via our contact form. Or if you want to give one of our new plugins (Analytics or Ads) a try, you will also need to contact us to use this new version.